From the wood tables used for centuries to today’s sleek, technology-infused versions , benching is a concept that continues to evolve. The workbench is being reinvented, and it’s not “one-size-fits-all.” Understanding worker needs is key to creating the right bench solution. From the crude wood tables used for centuries by artisans and craftspeople to today’s sleek and technology-infused versions for knowledge workers, benching is a concept that’s continuing to evolve to meet a wide variety of workplace needs. In Europe, bench applications have become the norm during recent years. Office designers there have actively embraced benches for their clean aesthetic and the efficiency appeal of a modular product that’s easily configured — and reconfigured. In North America, the trend to bench has been catching on fast because it’s a hard-working solution that addresses converging business realities, especially: 1) today’s workplace culture that prefers collaboration and networking to closed-off cubicles; and 2) the pressing need to curb real estate costs and adapt spaces quickly to changing business conditions and needs. According to a study completed in 2009, more than 70% of corporate real estate executives have implemented mobile work strategies to boost space efficiency, 71% provide hoteling workspaces, and 75% support working from home.1 Controlling costs was the main reason cited for these strategies, but improving worker productivity and efficiency was a hard-pressing second-place driver. In addition, several other workplace trends are contributing to the fast-growing appeal of benching applications. 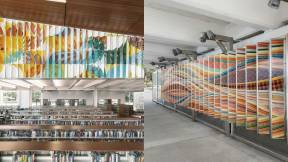 One is the demand for sustainable buildings that do more with less and provide healthy work environments that allow natural light to permeate deep into the space. 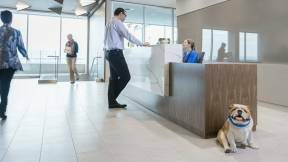 (High-performance, sustainable buildings have been proven to boost employee productivity by 10-20%.2) Another bench-pressing trend is the fast-growing number of mobile workers who want to “see and be seen” during the times they come into the office, thereby quickly connecting with co-workers as well as technology. Clearly work is changing on many fronts, and it’s virtually impossible to meet new worker needs in existing workplaces. 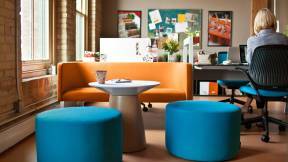 Rethinking the workplace is a proven fast track to creating more productive worker behaviors. No wonder the benching movement is gaining floor space fast: it dovetails perfectly with key workplace trends going on today. Benching solutions can already be found in many types of organizations, and industry observers have declared that this will be the era of the bench in the workplace as cubicles assume their rightful place in history. 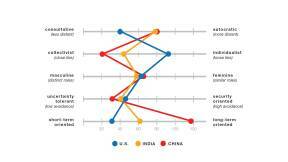 Steelcase began conducting primary and secondary research on benching in 2008, including in-depth case studies with ten clients, six in the U.S. and four in Europe. 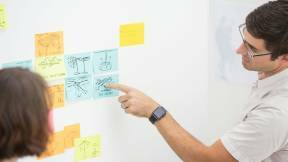 Adopting methodologies from anthropology and other social sciences, Steelcase’s Applied Research Consultants and WorkSpace Futures teams, in collaboration with architects, designers and organizations worldwide, have discovered new insights about benching products and applications. 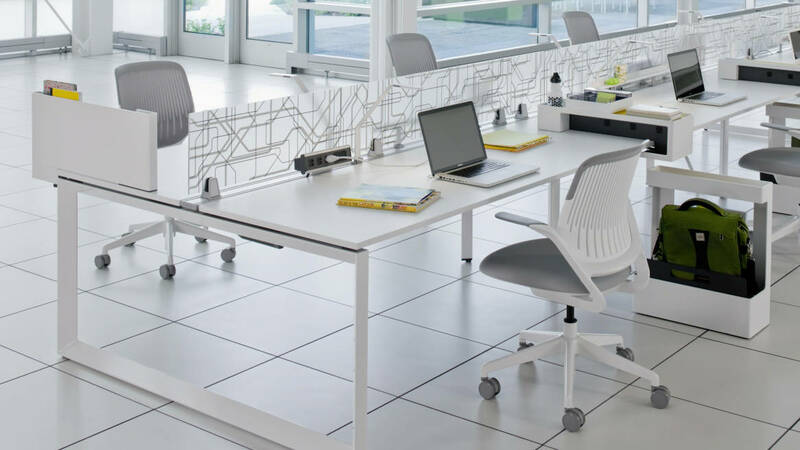 By carefully observing workers in a broad variety of companies, Steelcase researchers identified four very different types of bench users who have distinct needs that mandate differing product applications. Moreover, in addition to work processes, the culture and brand identity of an organization are potent ingredients in successful benching solutions. 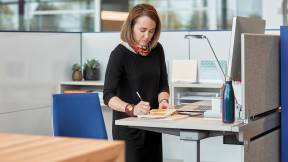 A key takeaway of Steelcase’s research was this: the “one size fits all” approach to benching that’s been typical in the U.S. significantly compromises worker efficiency and satisfaction, thereby potentially deflating bench products’ rising-star status about as quickly as the economy recovers. Benching has to be about more than real- estate efficiency and cost-savings. 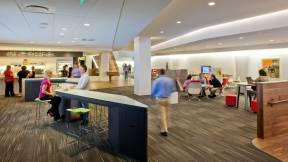 Workers are demanding agile workspaces like never before, according to independent studies. For example, work done by Gartner Inc., MIT, and 22 industry sponsors concluded that the most successful organization is an agile organization that can form work teams quickly to address changes in business conditions.3 Workers want agility because multi-tasking has become de rigueur, and savvy managers want it too for better business results. Smart design and space planning that aims for a good “fit” will enable benching products to live up to their full potential, now and well into the future. Workers and their employers want solutions that work for their own job functions and work scenarios. Today’s next-generation bench products are user-centered, providing for a long list of needs: interior vistas assure they can see others easily and be seen to maximize opportunities to connect and catch up. Because portable technology is oxygen for these road warriors, above-the-worksurface connections are essential. They also appreciate uninterrupted legroom and sufficient knee space under the worksurface, plus open, accessible storage areas to hold the things they carry: typically, a load of bags, briefcases, file boxes, coats, etc. Because they often work on the move and in less than ideal settings, they especially appreciate the workplace amenities of daylight, outside views, healthy air, etc. during the time they come to the office. Their work is systemic, multi-discipline ancollaboration support, power and data ports, desk cable management, ample space for work tools, storage, comfort, privacy as needed, configurability, sustainability, and visual appeal. In short, these are benches that can help make today’s workers — collaborative, team-oriented, mobile, multitaskers, and tech savvy — feel good about coming to work. What makes today’s bench a bench? A bench product is essentially rows of worksurfaces that are parallel to each other around a central technology infrastructure that conveniently provides access to power and data and also holds individual lighting and work tools. Users sit face-to-face or side-by-side. The worksurface can be a single long expanse or individual surfaces ganged together, fixed height or adjustable. Because benching products have minimal visual barriers, they lend an open and transparent quality to the workplace that encourages interaction and collaboration. Co-workers have easy access to work together — and socialize together, an essential ingredient in building trust and teamwork. Benches can help build a strong sense of belonging and being part of a culture and work community. Flexibility is another important asset that distinguishes today’s bench. With a simple combination of structural parts, benching products are easy to assemble and rearrange to accommodate mobility and workforce changes. From a design standpoint, bench planning is easing spine-based and 90-degree planning to the sidelines because it offers inarguable business advantages, including 22-26% real-estate savings and 10-15% initial cost savings per workstation — great persuasion points for any client. This gives designers opportunity to reallocate a portion of the savings to provide shared spaces ranging from meeting rooms to cafés. 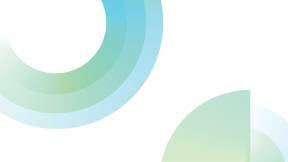 Any workforce can be analyzed and matrixed in terms of how collaborative it is and how mobile. From low to high, placement along those two axes helps determine user profiles and benching situations. The two low-mobility user profiles — residents and functional groups — typically find their best fit in owned bench spaces. The high-mobility users — nomads and project teams — use shared benches effectively. Each type of bench user ascribes different levels of importance to various bench features and benefits. 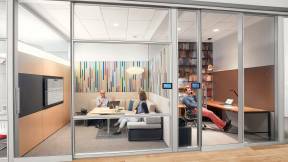 For example, the research revealed that workspace privacy is much more important to residents and functional groups than to nomads and project teams. Just as Nike customizes its shoe designs for different sports and smart phones get even smarter when they’re personalized with apps, the successful design of bench applications allows for variations and customization. A deeper understanding of the four user profiles can help achieve that goal. Their work is sequential, standardized, focused and process-driven, and it’s done at owned workstations with fixed technology and equipment. Examples: Administrative offices, call centers, customer service, human resources, legal groups, operations staffs. Hard-working bench applications: These workers value visual connections and team interactions, but they also need to maintain privacy and focus to do their jobs. Low shields can reduce unwanted noise and distractions and mark off personal territory. Because they need lots of information at hand, storage is an important need, and it can go above and beyond its primary purpose by also adding boundaries and providing surfaces for personal belongings. Technology interfaces need to be above the desk and offer good cable management to reduce hassles, and comfort and individual control of the environment are high priorities in these often high-stress jobs. Their work can be done almost anywhere and anytime with mobile technology, but they come to the workplace to connect with people and maintain visibility in the organization. 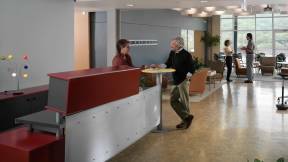 While there, they also need quick access to hoteling workstations for short-term, touchdown work. Examples: Consultants, contractors, guests, interns, library users, managers, marketing developers/consultants, salespeople, telemarketers, visitors. Hard-working bench applications: Nomads appreciate flexible workplaces that cater to their mobility with flexible furniture that allows them to “pull up a chair” for networking and socialization. Open interior vistas assure they can see others easily and be seen to maximize opportunities to connect and catch up. Because portable technology is oxygen for these road warriors, above-the-worksurface connections are essential. They also appreciate uninterrupted legroom and sufficient knee space under the worksurface, plus open, accessible storage areas to hold the things they carry: typically, a load of bags, briefcases, file boxes, coats, etc. Because they often work on the move and in less than ideal settings, they especially appreciate the workplace amenities of daylight, outside views, healthy air, etc. during the time they come to the office. Their work is systemic, multi-discipline and collaborative, and it typically involves content creation and project-based work. Often, they’re a co-located and distributed team that works away from the “mother ship” facility in a rented or designated “skunk works” space for the duration of their project. Examples: Financial consultants, managers, marketing teams, product development teams, research analysts, strategic planners. 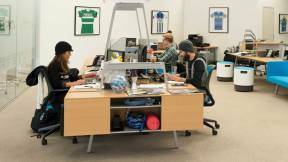 Hard-working bench applications: These workers are put together to work intensely together, so co-working and team interactions are the order of every day. Benching applications leverage the communal aspect by eliminating all screens. As a result, visual connections are constant, and multitasking and spontaneity rule. In addition to technology management needs, these users need storage capabilities for project resources. Compact organization of work tools is an ever-present need in this free-for-all setting, and there needs to be a lot of flexibility to accommodate varying numbers of team players as the project progresses. These are people in the same department who work in a single or multiple groups. Collaboration for content creation is often the bedrock of their interactions, and most members are co-located in owned or shared workstations. Others may participate remotely. Examples: Architects, communications professionals, corporate real estate planners, design teams, financial groups, investment traders, media teams, professional services groups. Hard-working bench applications: Fostering team interactions for cohesiveness is important for these users who typically work together nearly constantly and long-term. Providing a common worksurface in the middle of the bench or at the ends makes for quick collaboration and document-sharing. A privacy shield at the end of the bench reduces interruptions on the aisle, and it also can be a nice lean-against for co-workers who approach from the side — much less awkward than coming up on someone from behind. Allowing enough legroom for collaboration at the bench is important, as is providing storage at the end of the bench or nearby so it’s handy for individual and group work. Benching applications offer unprecedented opportunities to achieve real estate efficiencies and reduce costs for owners, but the wrong benching “solution” can make workers feel dehumanized and underappreciated. By understanding the unique profiles of different types of bench users and their distinct needs, designers can create benching solutions that support individuals and help develop the collaborative cultures that employers and their employees have prioritized. Successful, hard-working bench applications targeted to specific user needs can help attract today’s new generation of workers and herald in a new era in workplace planning.